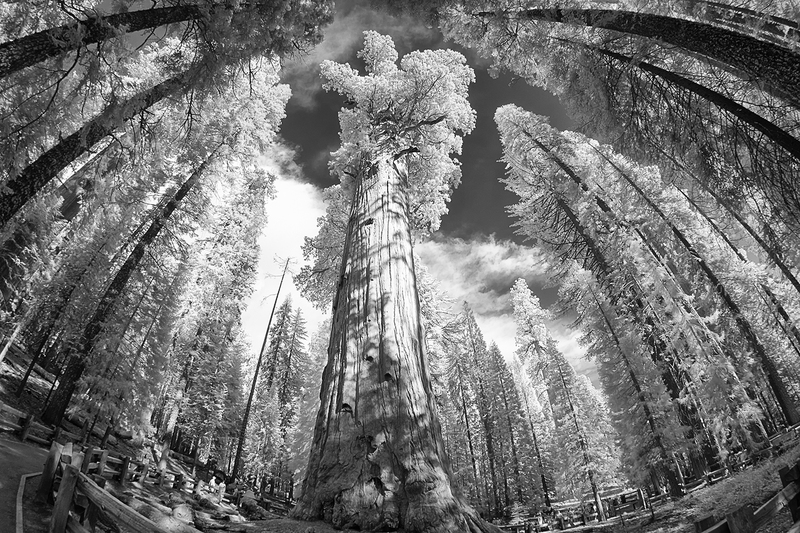 The General Sherman Tree is the world’s largest tree, measured by volume. It stands 275 feet (83 m) tall, and is over 36 feet (11 m) in diameter at the base. Sequoia trunks remain wide high up. Sixty feet above the base, the Sherman Tree is 17.5 feet (5.3 m) in diameter.